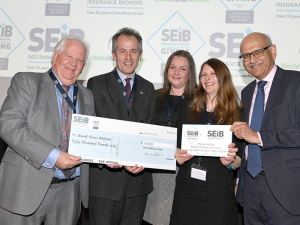 SEIB Insurance Brokers granted a total of £100,000 to charity at their Charity Awards luncheon at the Grange City Hotel, London on the 22nd March. SEIB’s Chief Executive Officer, Barry Fehler presented a cheque for £50,000 and a commemorative plaque to Roly Owers and Emma Williams of the winning charity, World Horse Welfare. Nine other charities reached the final voting stage of the SEIB Charity Awards and received a further £50,000 from SEIB between them. HOYS are looking for six enthusiastic, horse-loving and social media savvy individuals to help us spread the news about Horse of the Year Show 2019! 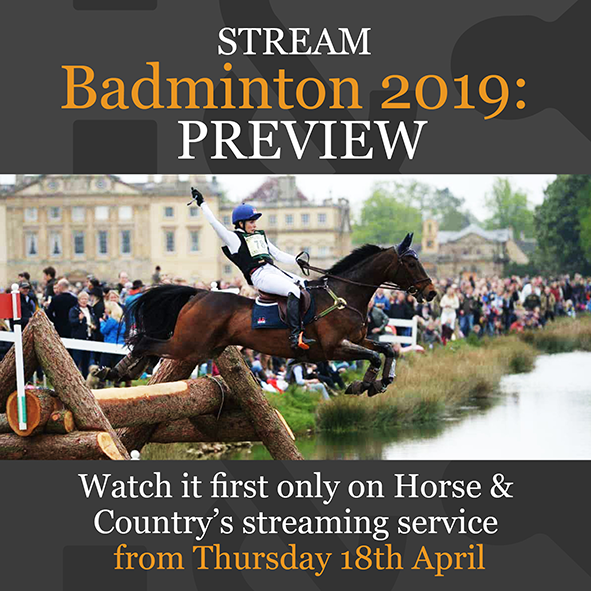 Horse of the Year Show (HOYS) is one of the longest standing horse shows in the UK and is the biggest week of the year for equestrian entertainment. 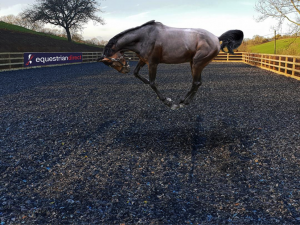 Returning to The NEC Birmingham this October, the event will showcase national and international showjumping classes, the finals for the Pony Club Mounted Games Prince Philip Cup, and will see the best of British show horses come forward for the finale to the showing season. The lucky six Superfans will work alongside an existing HOYS Ambassador and will be set up as an affiliate with our official ticketing partner, The Ticket Factory. This will enable HOYS to track how many ticket sales you generate through your promotion of the show. For each ticket you sell, you will receive a 2% commission on the face value ticket price, and to make sure you look the part you will get your very own HOYS clothing to enjoy. You can blog and vlog to your heart’s content and tell all your friends about some of the exciting plans in store for 2019! 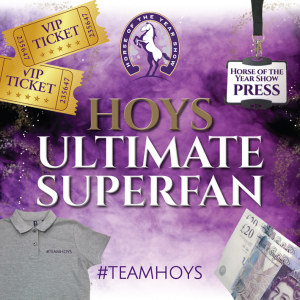 Whichever Superfan has sold the most tickets by 31st August 2019 will be crowned the Ultimate HOYS Superfan and will receive a very special, unique and never offered before prize….. Ever wondered what it is like to spend a day backstage with the Press Team at HOYS? Well now is your chance! 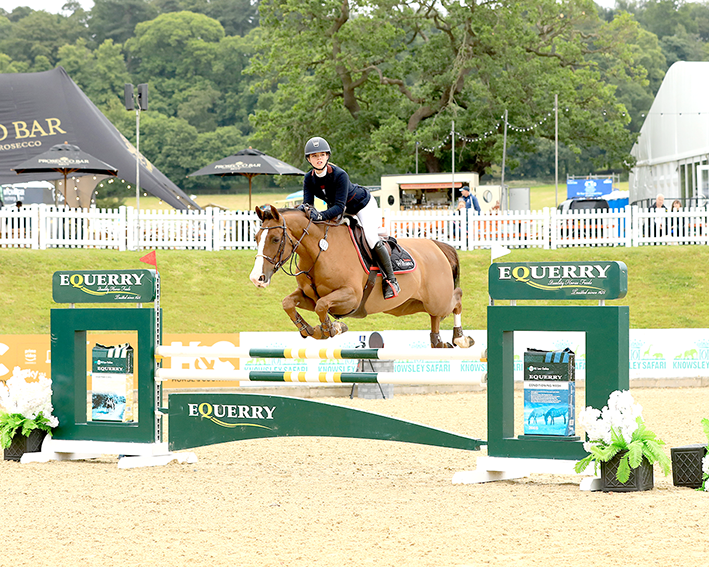 As part of the prize, you will be invited to spend a day backstage with HOYS ambassador Hannah Eccles. 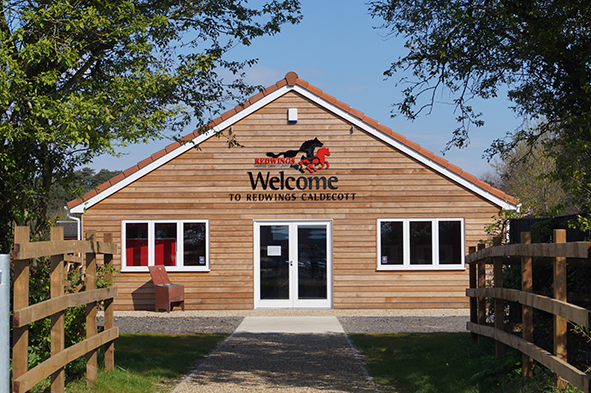 You will be mingling amongst well-known equestrian journalists from the likes of Horse & Hound, interviewing riders, taking shots for social media, speaking to some of the other members of the HOYS team and getting a real feel for what it’s like to put on one of the biggest horse shows in the UK. And as if that isn’t enough, you and a friend will then be invited to enjoy an evening in hospitality, soaking up the atmosphere and enjoying a well-earned treat. Zoetis Inc. have announced that, given the concerns caused by the recent flu outbreak, it is urging horse owners to participate in a survey about Equine Herpes Virus (EHV), which is another common and debilitating infectious equine respiratory disease. The aim is to identify best ways to improve understanding about EHV and to help reduce the risks it poses. Equine Herpes Virus is a contagious virus, which can cause respiratory disease, abortion and more rarely neurological disease. Equine Herpes Virus infections can be associated with poor performance and have a potential effect on the health of the whole yard. Once a horse is infected with Equine Herpes Virus it can harbour the virus throughout its life and potentially spread the disease to others. 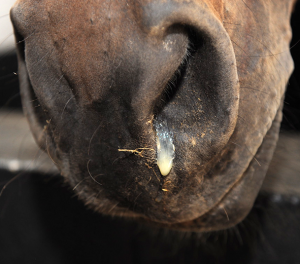 Infected horses often don’t show outward signs of Equine Herpes Virus infection but if they do, symptoms may include a high temperature, nasal discharge and a dry cough in younger horses. The horse may also show signs of depression and lack of energy. Reducing the spread of Equine Herpes Virus through management and vaccination is key to disease control. 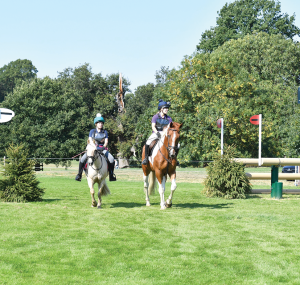 “EHV has potentially serious health, performance and financial implications across every sector of the equestrian industry,” said Wendy Talbot, National Equine Veterinary Manager at Zoetis. 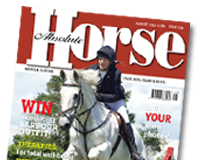 “The aim of our survey is to find out more about horse owners’ awareness and understanding of the risks EHV poses. The results should help us identify the most effective prevention strategies and then ensure that they are accessible.” The survey runs until 15th March 2019 in parallel to a separate survey for vets. It is quick and easy to complete and you could win yourself a new body warmer. 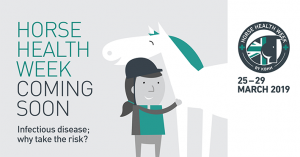 Horse Health Week is back on 25th March and the brand behind the campaign, Keeping Britain’s Horses Healthy (KBHH), wants horse owners to know the risks when it comes to equine infectious disease. Vicki Farr, equine veterinary advisor at MSD Animal Health, says the results of 2017’s horse owner survey, which was a collaboration with Horse & Hound, showed many respondents were unaware of risk factors that expose horses to infectious disease. “36 percent of owners choose not to vaccinate because their horse doesn’t leave the yard or meet other horses,” she explains. “But the flu virus can travel up to 5km in favourable conditions. So, even if a horse lives alone and doesn’t meet other horses or people, he’s still at potential risk of infection. During Horse Health Week, there will be a daily quiz for horse owners to keep KBHH’s mascot, Buzz, happy and healthy with KBHH saddlecloths as prizes. Horse Health Week returns at a crucial time due to the recent equine influenza outbreak. “The recent flu outbreak serves as a timely reminder that unvaccinated horses are at risk of serious disease and that immunity doesn’t last a lifetime. 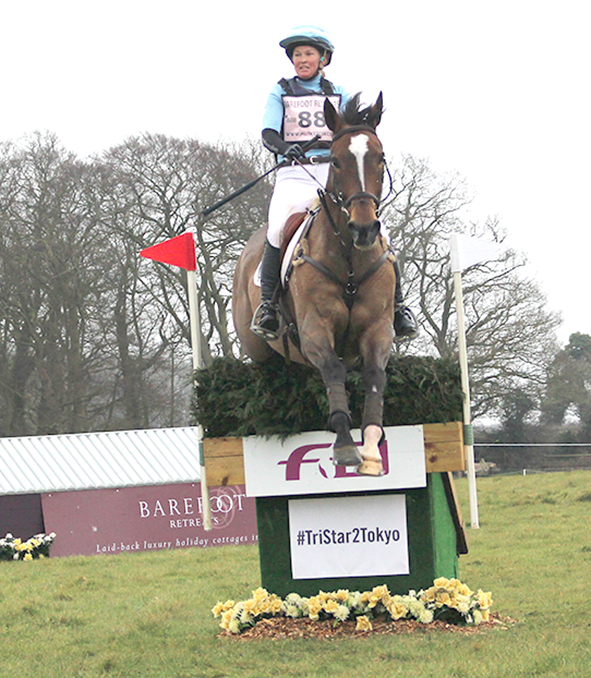 Owners should ensure their horses’ vaccinations are up to date,” concludes Ms Farr. Learn more and join in with Horse Health Week during 25th to 29th March 2019 by following KBHH on Facebook and Twitter and by using the hashtag, #HHWKnowYourRisk.